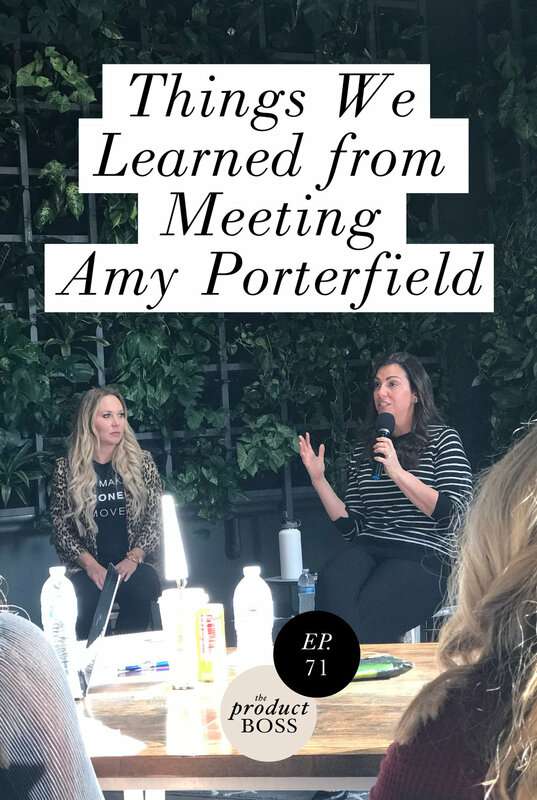 Amy Porterfield was nothing short of brilliant when we met her at Mastermind Live in San Diego. We walked away so inspired by her clarity and her vulnerability. In this episode, we wanted to share with you the 3 things that Amy said she focuses on as the CEO of her business that has helped move it forward. We dig into those and give you tips on how to successfully approach them as a Product Boss. Sign up to get on our Mastermind waiting list.